It is the job of critics to inform audiences of astonishing and abhorrent aspects of the newest flicks. Most understand how to diverge fantastic craftsmanship and sluggish amateurism in order to write a proficient review. However, emotions fill critics and divergent movies relate to each individual. This resonation between a reviewer and flick usually provides an interesting narrative. Many critics pan any form of film that serves as an advertisement for a larger corporation, leading to terrible reviews on subpar films. Personally, incompetence in filmmaking is the most irking aspect of any film, not branding or simplicity. The Nun is an incredibly irritating film for me. The plot is so baffling it is an enormous task to describe it. A nun kills herself by leaping off a castle balcony to escape a demon named Valak (it is just as stupid as it sounds) who needs a vessel to commit its dastardly deeds. A local farmer finds her, and the Vatican sends a priest and a nun who has yet to take her final vows to the site in order to determine if the place is holy or not. It sounds fine, however when put in front of a camera it completely loses its footing. The filmmakers destroyed the movie from the first few seconds. It shows random clips of people in what appears to be present day seeing the nun creature and freaking out. Not only is this bewildering, these few starting seconds mess up the entire pacing of the film. The next shot brings us to the year of 1954. Obviously, movie goers would assume this is a short backstory before switching to present day. However, this does not happen. The entire film takes place in 1954. This takes the viewer out of the world and murders the first act because audiences are waiting for the inevitable jump in time. The first scene is full of promise and disappointment. Two nuns venture to a door that has “God ends here” etched into it. One nun opens the door, creeps in and then silence. This is a great setup: killing the music with a few quiet violin shrills. The camera also does an impressive job of zooming shots on the blackness behind the door and reaction shots of the other nun’s terror. The former adds a layer of mystery of what’s behind the door and the reaction shots start to make the audience tremble. There is a quick scream in the blackness, and then a pause. I’m glad they ruined a potentially great scene. The nun’s bloody hand shoots out and she falls on the floor. She pleads for the other nun to run before being pulled back into the darkness. They ruin this by using this sound. Every single crappy horror movie uses this horrendous effect, but it is not ruined because of the actual effect. It is the way it’s used. Thundering noises are an essential part of horror films. While blaring them into the point of a forced jump is foolish, well-used sound can make or break a movie. It, for the most part, used jump scares well. The projector scene is an epitome of this. The scene starts building tension through the children beginning to argue and freak out. This allows for the projector turning on its own to give audiences a sense of dread. The most brilliant aspect is showing Pennywise before the scare. The still images of him devilishly grinning whilst the children are losing their minds adds a sense of stress and looming dread. The audience knows something awful is going to happen, however they are not aware what exactly will occur. The music then cuts out and the projector begins to flip through slowly. Pennywise then jumps out and attacks the children. Through character argument and yelling, the scene first stresses audience members out before filling them with dread when the projector starts to turn. Seeing Pennywise is when fear kicks in. Finally, the payoff is a jump scare, but with an important detail to note. Part of the scare’s noise is the clown’s laugh, not just the traditional booming blast. The Nun’s scene launches right into the fear portion, skipping the build-up. Instead of creepily building up fear, it goes straight for the throat. While the unknown aspect should make viewers uncomfortable, the jump scare falls flat. No hand would make a huge banging sound if it hit concrete. Even more embarrassing, this is an incredibly obvious scene to figure out. It should have started with the two nuns arguing over venturing into the abyss, rather than a two second squabble. The camera would follow the nun’s face into the darkness, only to see the door start creaking shut. It would cut to a reaction shot of the nun outside, showing her trying to run to the door before the audience sees it finally shut. After 10 seconds of silent reaction and door shots, a faint screaming can be heard. As the camera zooms in on the shut door, the blood curdling yells become louder. The nun inside the door would start slamming on the door while the other would try to open it. Suddenly, the screaming would stop and the nun would back away from the door. The door would creak all the way open while the audience can hear heavy breathing from the terrified nun. The camera would pan to the darkness, and we would see a bloody nun fall out and slam to the floor. She starts screaming for the other to run. The audience sees the clean one look up at the blackness and see two glowing yellow eyes. She runs to the window, turns around and sees a figure looming at the door with a wind chill effect. While she is scrambling around for the items necessary for her suicide, the figure begins gliding closer with the odd Christian chanting. The sounds cut out as the nun turns back to see the figure with glowing eyes looming close. She finally says her line and jumps off. It is not difficult. 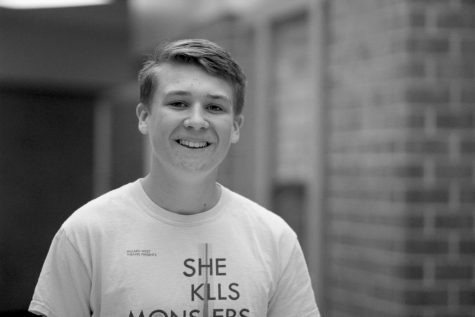 If a 15 year old in high school can write a competent and chilling scene, then so can paid adults. Horror scenes are simple to write, so it is incredibly annoying when adults cannot accomplish this simple task. Scares like this litter the movie, but room for improvement is there. In addition, in order for a monster movie to be frightening, the monster needs to look terrifying. This 15 foot tall beast looks like a bird possessed Kevin Durant if he adopted Christianity and decided to choose the path of abstinence. Gray skin and yellow eyes are not particularly scary, there has to be features that are more grotesque. If the movie was going for a somewhat normal nun that possesses a few frightening features, mission accomplished, however it only hurts the film. Again, Pennywise does not look terrifying on his own, but the growth of teeth, droopy eyes, and different forms make him frightening. Here, it is just a tall nun chasing people around. Furthermore, this nun does absolutely nothing. Imagine if the beginning scenes of It, where Pennywise does nothing but scare the kids, was the entire movie. All this creature does is bully people using fear. It is even more enraging when the final scene shows the demon destroying the protagonists. If they didn’t have the Blood of Christ (the only thing capable of stopping Valak), then why did the monster mess with them for the entire movie? Pennywise is much different. That creature feeds off of fears, so it makes sense when he scares the children for the first half of the movie. Here, it has no motive of keeping the trio around. This movie should have been over in 10 minutes if the creature did its job. 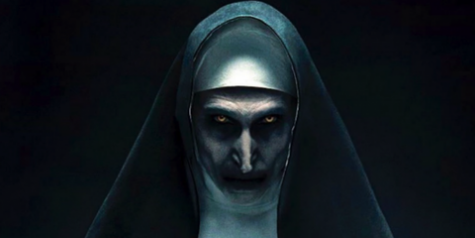 The Nun does not accomplish a horror movie’s primary task of freaking audiences using a terrifying creature, but even more than that the fundamentals are flawed. There are so many pointless and avoidable continuity errors, it is truly baffling how a fully competent adult can make such a cluttered mess. One of the errors that stand out are the group of nuns that end up appearing midway through the film. Their job is to keep Valak contained by continually praying, however, that is not the significance of their appearance. They have the critical role of informing the protagonists of Valak’s backstory and what needs to be done to defeat it. There’s only one problem: the nuns aren’t there. Later in the film it is figured out they were hallucinations, and the bodies were actually much deeper in the castle the entire time. The obvious answer is the protagonist had visions from God, as she has stated she has received many in the past. However, the only time we see these visions are in short bursts of clips for maybe 3 seconds. The nuns are around for more than 30 minutes. The introduction of these nuns was a convenient plot device to spew exposition and the solution to cover this up was illogical and forced. The actors actually did a decent job, but there was one standout: Jonas Bloquet as Frenchie. This guy was the only tolerable part of the movie. He knew he was in a steaming pile of garbage, so he waltzed his way through the entire runtime. Anytime an idiotic event occurs, he points out its foolishness. Obviously, different people wrote this in to the film, and pointing out how terrible their movie is does not make it better, however it seems he had a genuine confusion for what was going on around him. He’s picking up a cross from a graveyard, killing demon nuns, and pointing a shotgun at the heads of three dozen nuns. The perfect blend of awesomeness and stupidity somehow gets a positive response. Frenchie also serves as a comedic relief in the film. It is difficult to decipher whether this humor was intentional throughout the entire movie, however there are purposeful jokes sprinkled in throughout the runtime. Frenchie says the only ones that work well, whether it be from the other actors not having great comedic timing or the writing being terrible. Here is a hint: it’s from both. Around the end of the film, our group finds the Blood of Christ (spoilers, but who actually cared?). Frenchie looks at it, his eyes wide with wonder, and says “Holy s***!” This garnered a slight chuckle; however, the next line completely buried it. Wow. The comedic timing was so awful and the line delivery was so atrocious it created genuine outrage. As a rule of thumb, Bichir, The Nun is not a sitcom. It is a horror movie where characters are supposed to be taking every situation seriously. Even comedic ones should have undertones of dread. Please, from everyone in the world, never grin at someone and say “The holiest” if they say “Holy s***!” It may be difficult, but wipe that dumb grin off your face and ignore your director. It will save you from blasts like this in the future. The Nun is certainly a terrible film, however there was one aspect that completely makes it fall apart. After doing a little research about the flick, I found this was actually a backstory for a monster in The Conjuring 2. Especially when the monster has barely any screen time during the two hour and fifteen minute movie. I then realized that was where the short clips in the beginning came from. It is incredibly idiotic especially for viewers who have never seen The Conjuring 2 such as myself. Additionally, this movie was not publicized as a movie with a connection to The Conjuring universe. The publicity and those short clips ruined a huge part of the film. I am also appalled to say there is an hour and 40 minute film that serves as an explanation for a monster in another film. Who asked for this? Nobody needs a movie that explains a monster. Actually, this explanation makes it incredibly less scary in The Conjuring 2. Part of the fear of the nun in that movie is how mysterious it is. The audience has no idea what it can do which makes it even more terrifying. This is Hollywood concisely: take something stupidly insignificant in a famous movie and make it into its own movie. They want a never-ending cycle of cash and it is blasphemous. For every Get Out or Call Me By Your Name audiences receive, they get 100 piles of hot garbage that serve no purpose except make money. They don’t care about telling an inspiring or complex story with powerful or socially relevant messages. They just need more money, and it’s ruining cinema. 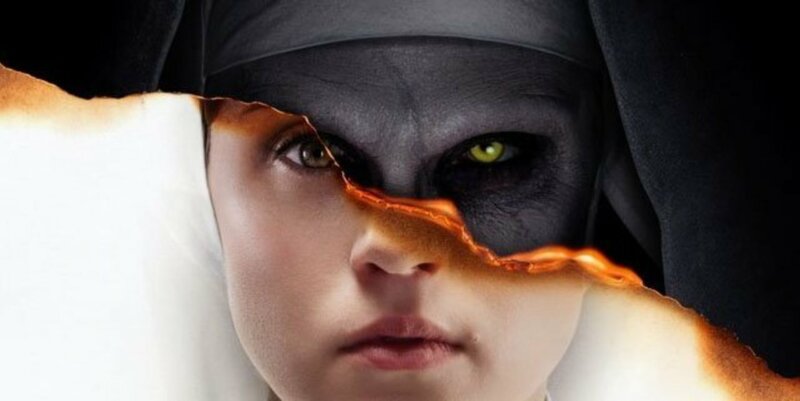 The Nun is not only bland for audiences, it is offensive to critics striving to see amazing works of art. It exemplifies every problem in Hollywood in a mere two hours. Movies like this should not receive any form of praise. Fan audiences need to be more objective to what they’re seeing or amazingly stupid movies like these will continue to flood out of Hollywood. Throughout all this bashing of this film, there is only one sentence that can be declared about The Nun and movies similar to it. The Nun is simply the worst.